Item number Ib417 from the MOA: University of British Columbia. 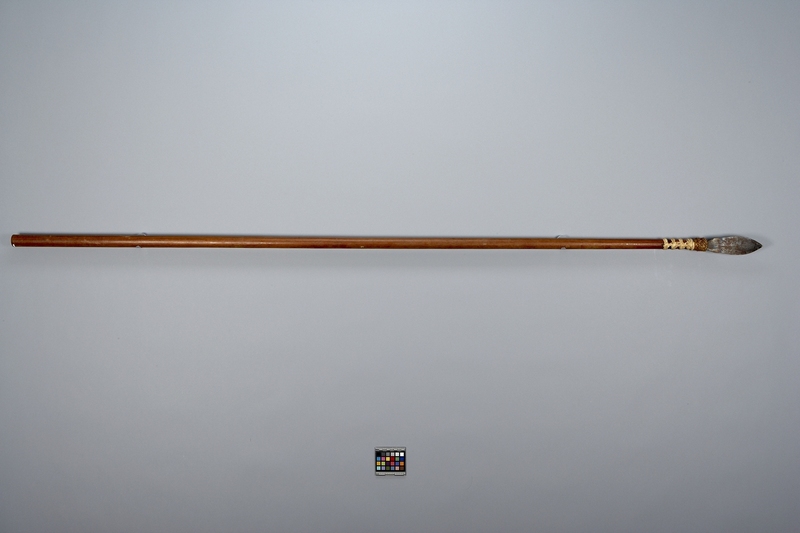 Blowgun of natural light brown wood. 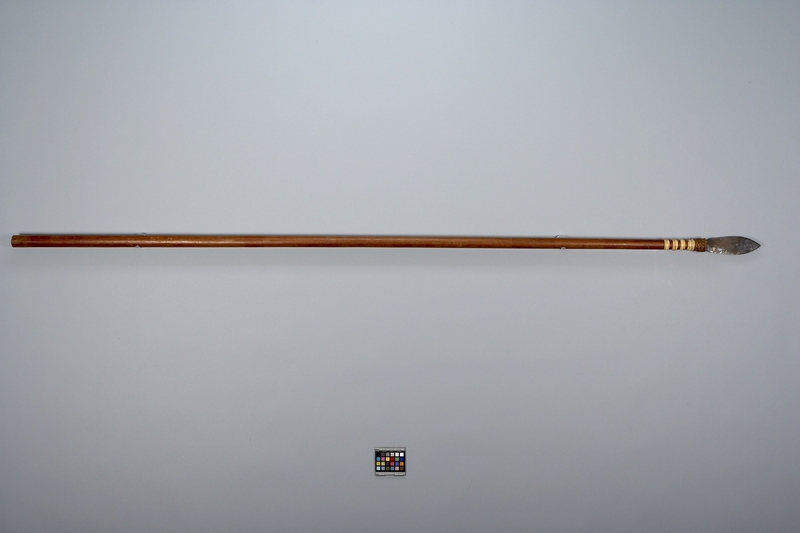 Wide metal lance-olate blade lashed to muzzle end with worn braided binding and five sets of rattan. Shaft tapers from mouthpiece to muzzle. 1.1 cm. wide hole at each end. Pith at centre is bored with a very small hole (slightly curved) for darts. 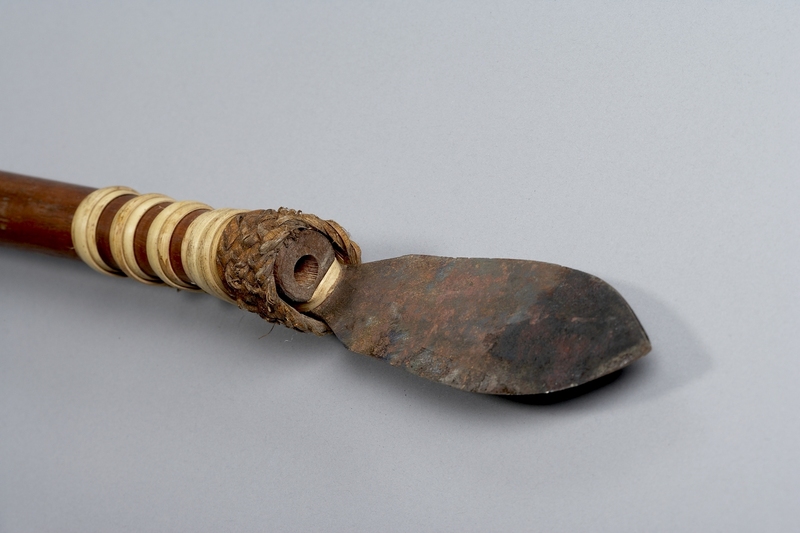 A traditional weapon used for hunting (and warfare?). Unlike most tribes of Borneo, the Punan are not agricultural. 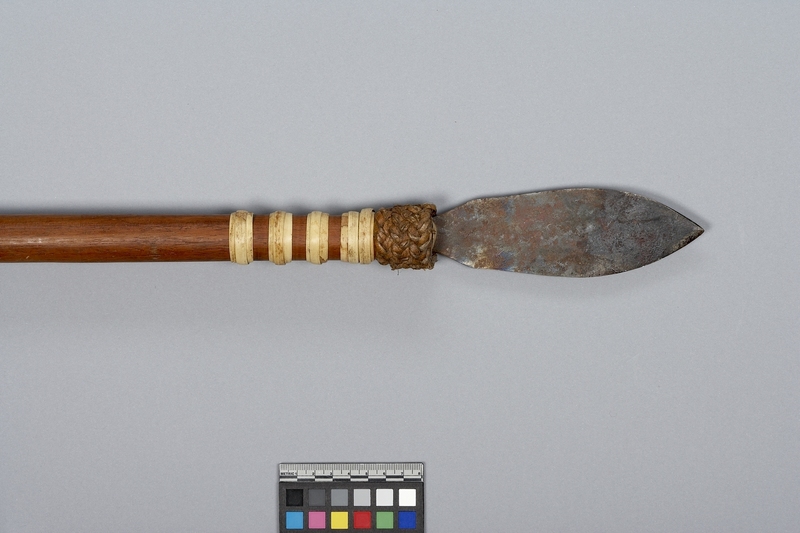 Most blowguns have attached blades. They fire small darts which are effective only when poisoned; a typical poison is ipoh, a natural strychnine derivative.